Colca is highly regarded and is often recommended in my circle of friends as an all-occasion restaurant, and for having a good value brunch. After a revisit, I can say that it’s even better than I remember it to be. 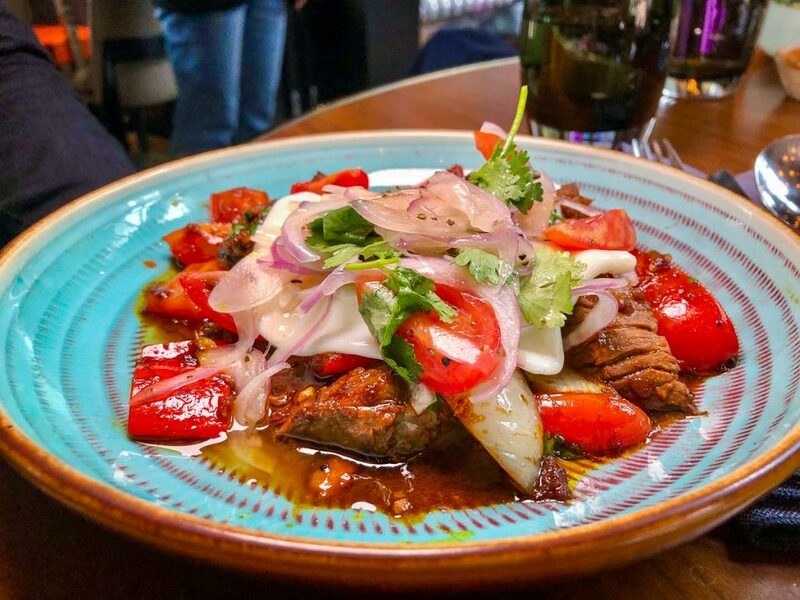 Colca does a Peruvian-inspired brunch menu of breakfast plates, Peruvian classics like ceviche, and unforgettable desserts that’ll have you stuffed and rolling out the door. 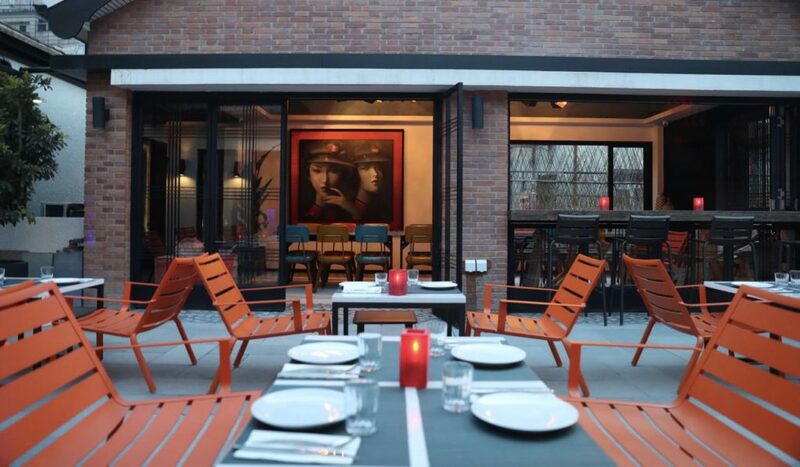 Colca is a Latin American restaurant (mostly Peruvian with Spanish influence) by chef/owner and Peruvian native Eduardo Vargas. 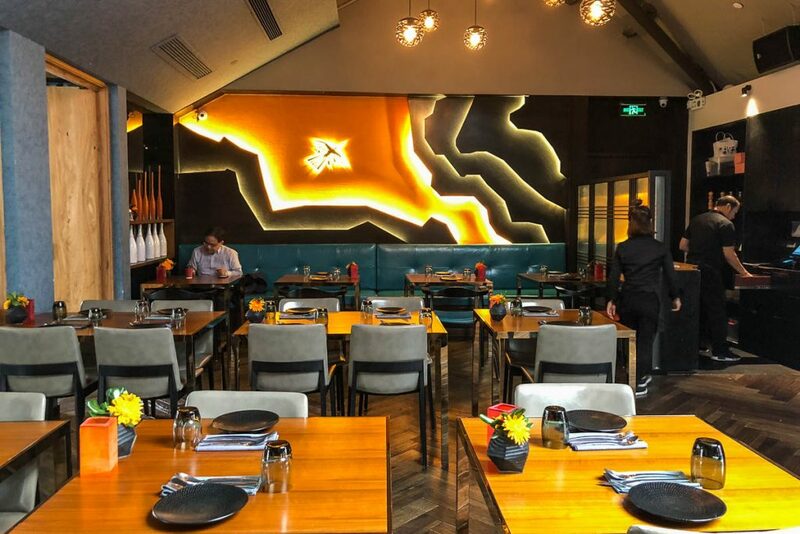 Vargas is a Shanghai F&B veteran who has been here since 2002 and has opened more restaurants than I can keep track of, the most reputable being Azul (open since 2002). Abel Matos (former head chef at now-closed The Chop Chop Club) is now the executive chef at Colca. 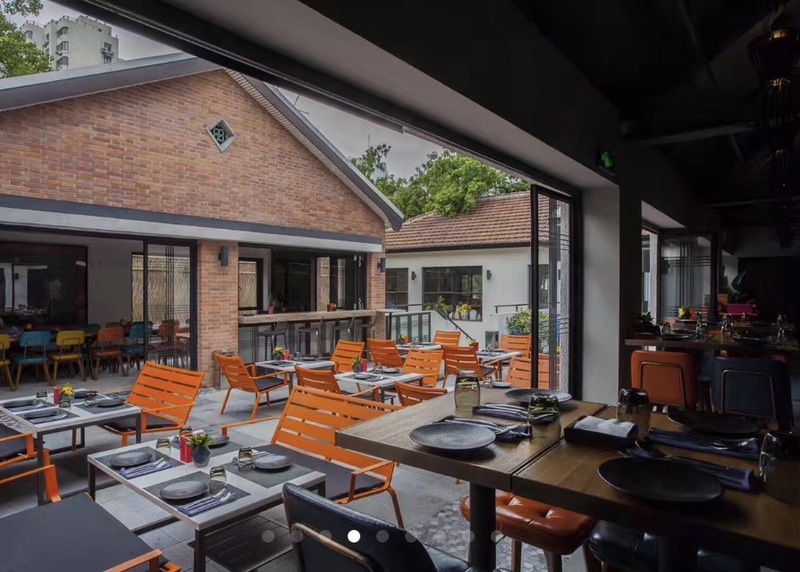 Colca is located in Yong Ping Li, a relatively new lifestyle complex that opened up mid-2017 that is also home to Garlic, STYX, Madeleine, Qimin Hotpot, and other F&B outlets. The restaurant is huge and often caters to large parties (150+ pax) and it also has a beautiful terrace. 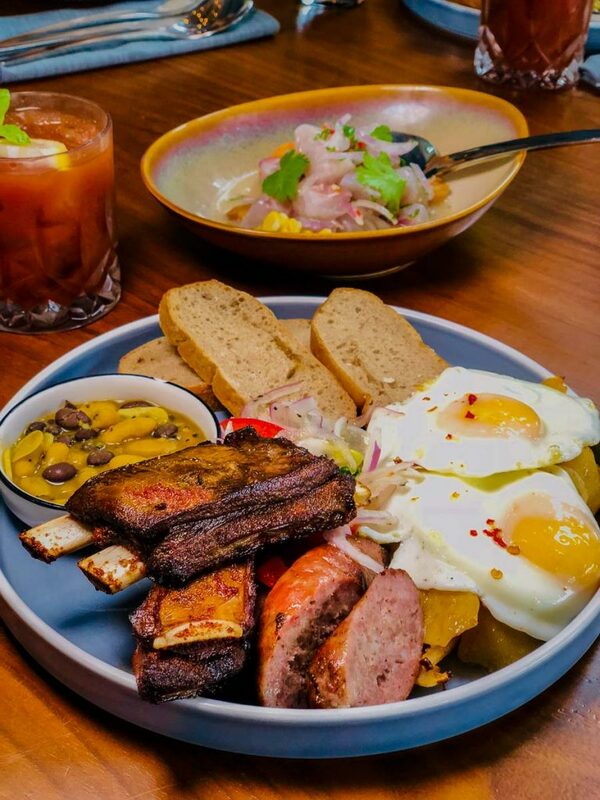 The Colca Breakfast (¥108) is a massive plate of venison ribs, South American chorizo, toasted bread, curried beans, tomato salsa, two fried eggs and potatoes. The dry rub on the ribs is lip smacking. It’s a rich, heavy breakfast. Really, you don’t need anything else. The Peruvian Breakfast (¥98) is an ample serving of Peruvian beef tenderloin, stir-fried vegetables, and egg. A lighter alternative is the Colca Chicken Salad (¥78). 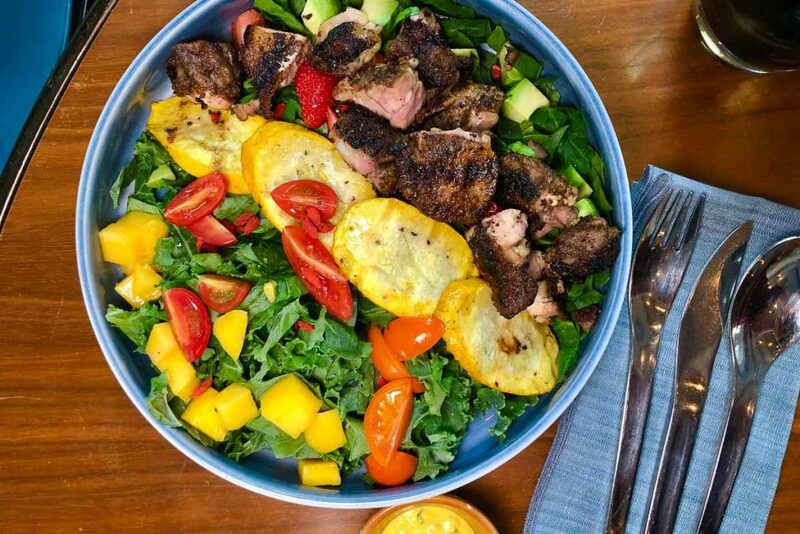 It’s a bountiful portion of green vegetables, mainly kale and baby spinach, along with lightly grilled zucchini, tomatoes, cucumber, and char-grilled chicken. I can never resist ordering a ceviche when it comes to Vargas’ restaurants, and I recommend the Don Ceviche (¥98) to share. 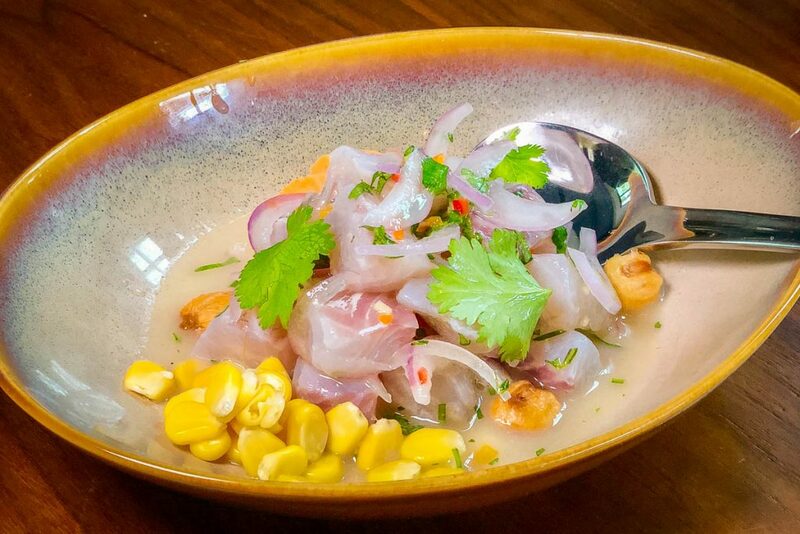 It’s a light starter made with fresh seabass quick-cured in tiger’s milk, served with sweet potato and cancha, crunchy Peruvian toasted corn nuts. And if you think you’re leaving without trying Eduardo’s Flan (¥58), you’re wrong. It’s his grandmother’s recipe, one that remains completely unchanged. 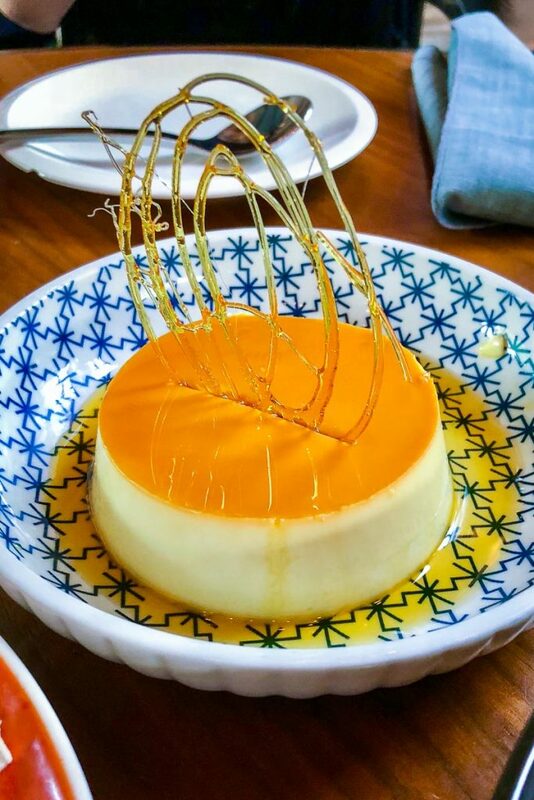 Vargas has put this dessert in every restaurant he’s opened since 2002, and claims to have sold more than 600,000 flans since coming to China, and churning out roughly 800 orders a month at Azul. Colca provides a complimentary breadbasket, a great accompaniment for all the saucy brunch dishes. Large portions, good value for money, good for groups, family-friendly, outdoor seating, and private rooms/sections that can accommodate private parties. 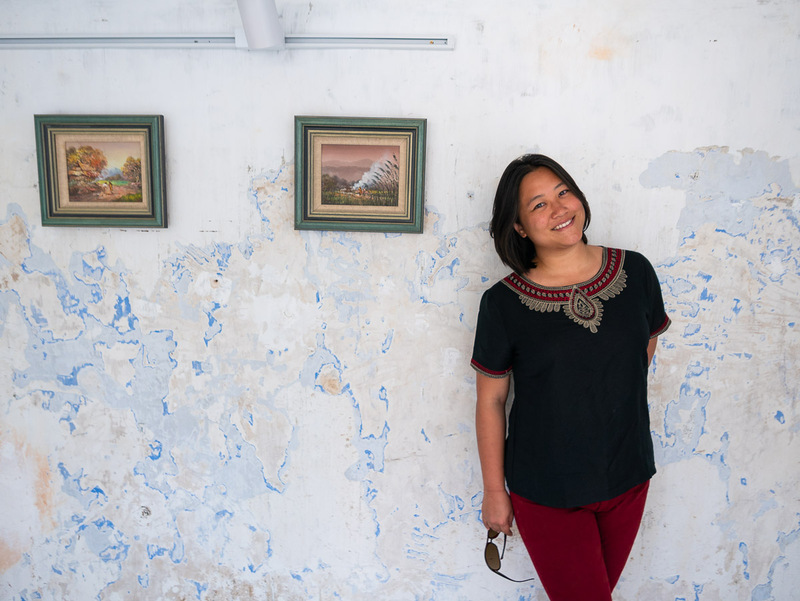 Rachel Gouk has spent the last six years in Shanghai working in food and media, most recently as the Dining Editor at City Weekend Shanghai. 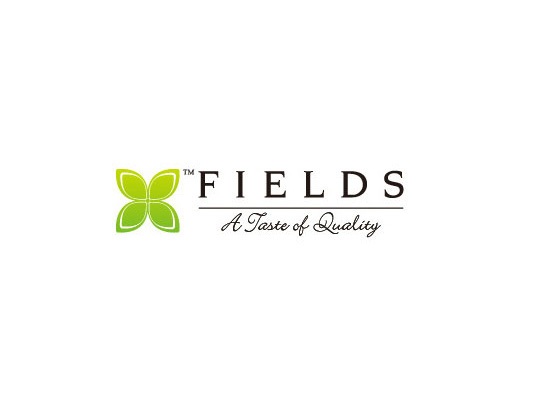 She currently works at F&B consulting company Kollektiv Creative Hub as marketing director. Follow her blog www.nomfluence.com or on Instagram @nomfluence.